Blog - How Important Are Your Children To God? How Important Are Your Children To God? "Preschool ministry is extremely important. Should we fail our young children, the church will suffer and so will we." My name is Dave Meeler and while I’m no expert, I simply hope to share what I have learned regarding ministry in the past 29 years. My wife Gloria and I have been members of Bear Creek for 18 years. We have three adult children and four grandchildren. For six years I have served with the preschool ministry both as a volunteer and staff. The preschool ministry at Bear Creek is extraordinary. It is a huge blessing to families and all the staff and volunteers. So, what makes me so sure of this? Why are the lives of our children important to God? The Bible refers to children 42 times. So, I would conclude that children are very important to God and should be to us, too, as parents and teachers. The Bible gives us specific instructions and commands regarding children. We are told how important they are and instructed to teach them about the love of God. This is obvious in scriptures such as Deuteronomy 4:9-10, 6:5-9 and 11:9, Psalm 127:3, Proverbs 22:6 and 23:13-14. Many more examples can be found in God’s Word. At our preschool ministry here at Bear Creek, we lovingly teach of God the Father, the Lord Jesus Christ and the word of God, the Bible. We also faithfully make it a point to introduce Scripture to all the children. Many of our teachers have previous preschool and childcare experience, whether as parents themselves or as workers of our Mother's Day Out program. 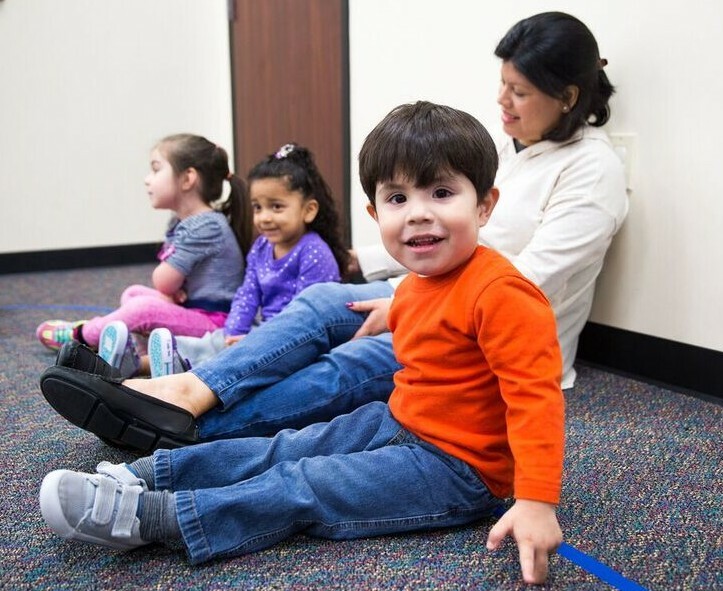 Bear Creek's preschool ministry not only serves children but also their families. Children are imitators. Remember that they are watching us and listening to us. Family, friends, teachers and pastors have a huge influence on our children. Take initiative. We as parents and teachers must take initiative to teach and lead them to follow Jesus Christ. Most schools and worldly influences will not teach them this. Prayer is important. Prayer is the foundation of faith in Christ Jesus. Teaching our children to pray is fundamental to their faith. If our children do not learn to pray where will they turn in times of trouble, sadness, etc.? At Bear Creek, we instill all the above and more. It is a huge blessing to be a part of the preschool ministry here. For example, the “I missed you Mr. Dave”, the wonderful hugs the children give when you arrive at class, the “Thank you so much!” you get from parents and others, are truly incomparable. Remember, we are called to minister to all people starting with our young people, whom are most important because they are the future church. If you have a heart for the Lord and children, the preschool ministry at Bear Creek Church is for you. We are currently in search of additional help on Sunday mornings and even have a few part time positions available. If you would like more information about our Preschool Ministry at Bear Creek or have further questions click here or call (281) 859-9900.